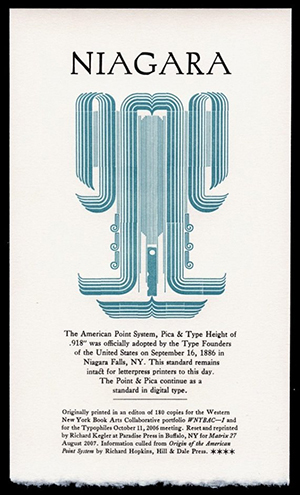 This limited edition print by Richard Kegler was made to commemorate the adoption of the American Point, Pica, and Type Height standards in Niagara Falls NY in 1886. Hand-set printers ornament arrangement of stylized Niagara Falls offprint for the fine printing annual by Whittington Press—Martix 27 to accompany a review of the Western New York Book Arts Portfolio which contained a version of this same print with different credit line text. Text set in Calson 540. Printed on a Vandercook #4. Headline set in Jim Rimmer's Duensing Titling font. 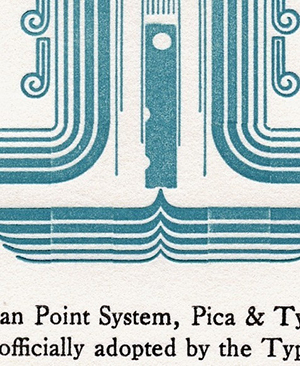 The American Point System, Pica & Type Height of .918" was officially adopted as a standard by the Type Founders Association of the United States on September 16, 1886 in Niagara Falls, NY. 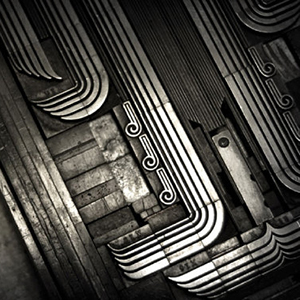 This standard remains intact for letterpress printers to this day. The point and pica continue as a standard in digital type. Originally printed in an edition of 180 copies for the Western New York Book Arts Collaborative portfolio — WNYBAC-1 and for the Typophiles October 11, 2006 meeting. Re-set and reprinted by Richard Kegler at Paradise Press in Buffalo, NY for Matrix 24, July 2007. Information culled from "Origin of the American Point System" by Richard Hopkins, Hill & Dale Press.